Flyers must be between 5 and 70 years old. 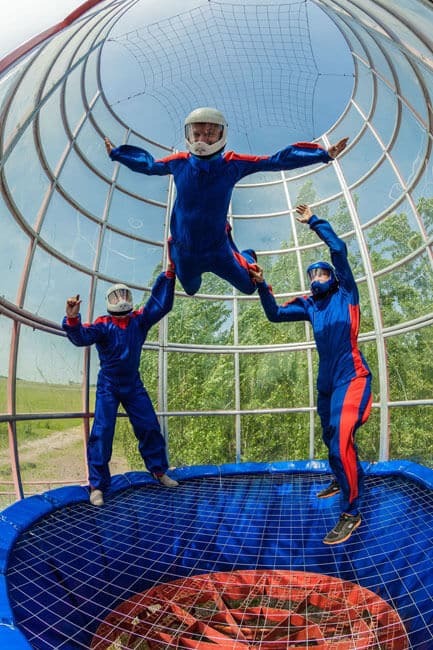 Aerofly is an open air, propeller below wind tunnel that was opened in Kiev in October, 2012. 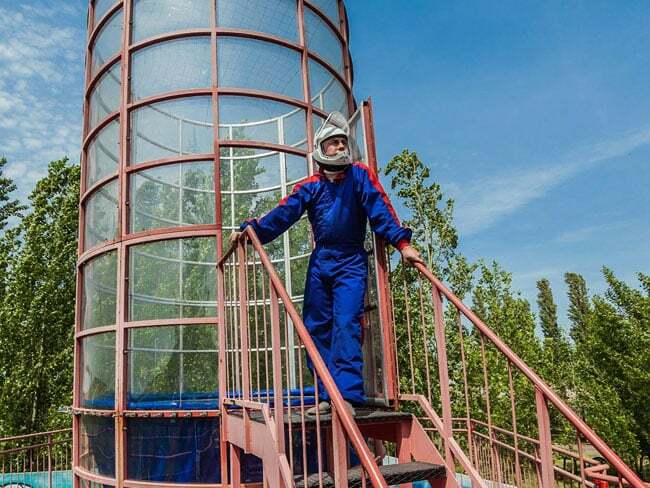 This wind tunnel was the first wind tunnel opened in the Ukraine. Located next to Aeroklub ChAYKA which includes glider flights and skydiving.